Do you like this post? Please share it! About year ago, I realized that prayer needed to be a part of my daily routine. 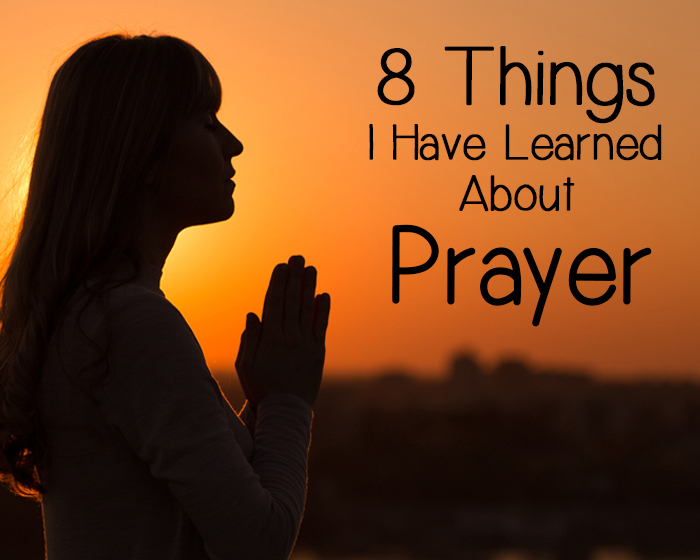 But, first, I had to figure out some of the basics of how to pray. 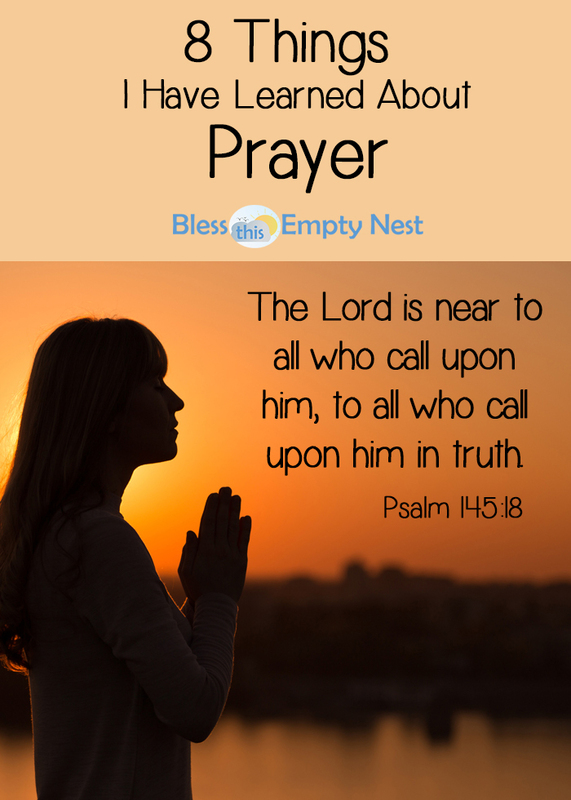 As I have started down the path of daily personal prayer, I was surprised to learn a few things, and I will share them with you! I am a little bit of a late-comer to the whole prayer scene. Even though I was raised in a family that went to church every week, personal prayer was not something that was part of my routine as I was growing up, for whatever reason. I mean, I said the regular prayers that any good cradle Catholic knows from an early age: the Our Father, Hail Mary, Glory Be, and the standard prayers in church, at bedtime, and before meals, but I didn’t really know how to establish that PERSONAL relationship with God by way of prayer. 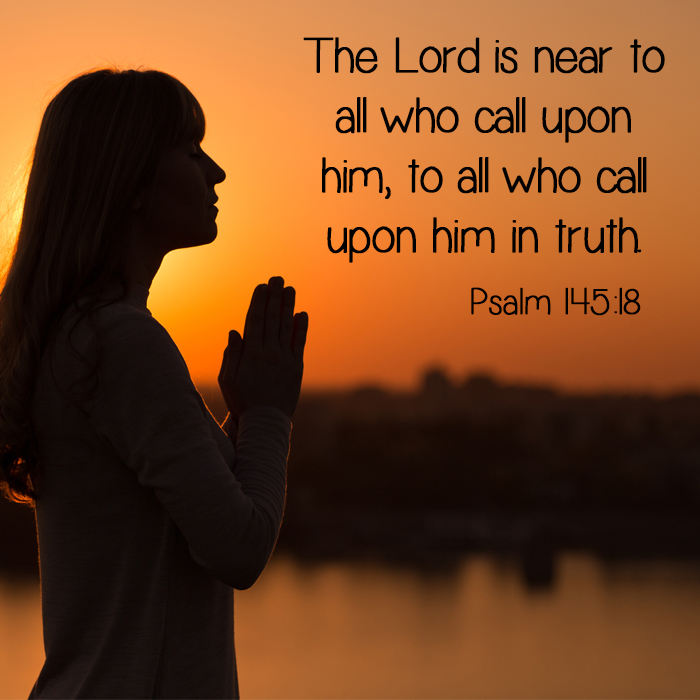 In any event, as I have started down this path of daily personal prayer, I was surprised to learn a few things, and I will share them with you! This was not really surprising to me. In fact, it is one of the reasons I put off doing it for all those years. It requires effort to maintain a prayer routine in the midst of all our other daily activities. You really need to make a commitment, and then follow through on that commitment each day, whether you feel like it or not. The game-changer for me came about when I started to view prayer as the core element to build my day around, instead of seeing it as an add-on, or something to try to fit in between the rest of my activities of the day. One of the ways I did that was by changing up my routine to make sure I had plenty of time to pray first thing in the morning. I am a morning person, and I have my best motivation and focus early in the day. Waiting until afternoon or evening to pray is just inviting myself to fail. Besides, there’s no better way to start the day and get my head on straight than to touch base with our Creator, thank him for another day, and ask for guidance and wisdom to navigate all the challenges ahead! That being said, I actually do also pray in the afternoon and evening as well. But those are typically shorter sessions that require less brain-power. Why is prayer necessary? Because one of the greatest obstacles most of us need to overcome to grow in our faith is the idea of self-sufficiency. Praying reminds us that we are not able to do it ourselves, that we need God’s love, support, and guidance. It helps to remind us that we need to “let go and let God”. Do you feel that your faith is not strong enough to be able to pray? That is actually when you need prayer the most! Prayer will strengthen your faith. It is definitely helping me in that area! 3. Prayer is not for God, it is for us. I used to wonder what was the purpose of praying. Since God is all-knowing, he already knows what I want and need, right? Well, yes, he does, but the purpose of prayer is actually not to make God aware of our needs, but to remind us that we depend on God for providing everything we need. It helps us to foster humility and continuously push away that tendency to feel self-sufficient (see point #2 above!). 4. There are different types of prayers. Many times when people think of personal prayer, they think of petitionary prayer, which is when you bring your petitions, or requests, to God. Of course, there is nothing wrong with that kind of prayer, but there are lots of different kinds of prayers to pray. There are prayers of gratitude, where we thank God for our blessings and for all that he does for us. There are intercessory prayers, where we pray for others. There are prayers of praise, where we express our wonder and awe at God’s glory and majesty. There are prayers of sorrow where we ask for forgiveness. In my personal prayer, at first I tended to default to petitionary prayer, but over time I realized that all those types of prayers could and should be incorporated into my prayer life. I especially like to start out prayer time with prayers of thanksgiving, because God has blessed me richly and I want him to know how much I appreciate all that he has given to me! 5. Prayer doesn’t require a huge amount of time, but it requires perseverance, humility, and openness. Often it can seem like putting the effort into praying every day isn’t getting you anywhere. But be patient! God is working within you. The graces you receive and the progress you make my be indistinguishable on a day-to-day basis. But keep it up for 6 months, or a year, and then look back. You will be amazed at the difference prayer has made in your life! This post contains affiliate links. You can view our full disclosure here. Thanks for visiting! You can also use just a regular notebook, if you don’t want anything fancy! Below is actually the one I use – it costs a bit more, but it lasts quite a while because there is more space for writing. 6. Prayer is part of on ongoing conversion process. We all struggle with faith! (I love the quote from Mark 9:24 – “I do believe, help my unbelief!”) The journey is never one and done. It is a constant process. Expect hills and valleys, and keep on keeping on through them all. Ask God for help, especially when you feel you are faltering. One tip is to find a faith community with which you feel comfortable. Having like-minded people around that can provide support and understanding can be SO helpful! 7. Praying can involve traditional prayers, pre-written prayers, and/or your own words. I use a mix of all of the above, but depending on my state of mind and energy level, I may more heavily lean on one over the others on any given day. If I am tired, I may stick more to traditional and pre-written prayers. If I have a problem that is weighing on my mind, I may skip the traditional stuff and go right to pouring my heart out to God. Don’t be afraid to be yourself! God wants to hear from you. Talk to him and tell him what is going on in your life. You don’t have to use fancy words or formal language. God wants to meet you right where you are! This is the toughest thing for me, and I am still learning to do this. I struggle with shutting off my mind so I can hear the whispers that God wants to speak to me. Do you have any tips on how to do this? I would love to hear them! If you are just beginning your prayer life or are looking to take your prayer life to the next level, hopefully some of the things I have learned and described here will be helpful. Do you have other suggestions, or things that you have gleaned from your experiences? I know I still have much to learn, so please feel free to share below with a comment! Additionally, if you are looking for some good prayer books, these are great. My personal favorite is the Pieta Prayer Book. 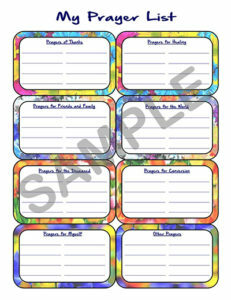 Lastly, below is a little freebie for you! I use a prayer list to organize my thoughts, keep track of who I am praying for, and help me to structure my prayer time a little. I created a printable prayer list that you can grab and use, if you think it would be helpful. Just click on the button to download it! Hey there! Don’t miss a post, sign up for the BTEN newsletter! what actually do you write in a prayer journal? Hello! I think for everyone it is different. I like to write things like a Bible verse that jumps out at me any particular day, or quotes from saints or religious writers/scholars, or just what I am thinking or feeling and discussing with God that day. Sometimes I find prayers that I want to remember to say so I will write those down. I went to a retreat once and I took notes in my prayer journal. So it really can be used for whatever you might want to reflect on or remember later. Let me know if you have any other questions! Thanks for sharing this at the Inspiration Spotlight party. This is a very thoughtful & insightful post.